SMASH! It’s The Incredible Hulk week, and we’re kicking it off by adapting our old Datafile of The Hulk using Felipe’s older datafile. I’ve tweaked it only a little, as it was a solid one to begin with. 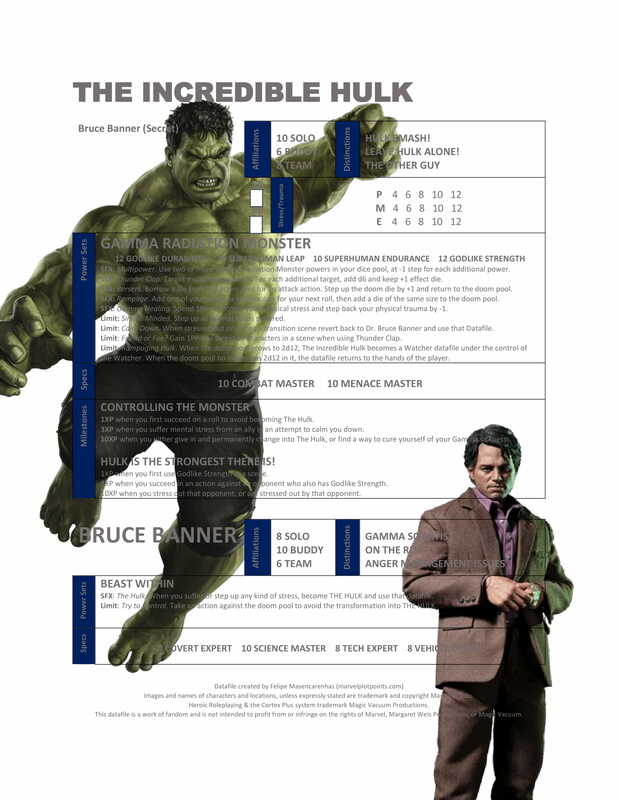 This datafile allows you to switch beween Hulk and Bruce Banner as Hulk is unleashed. I’m using imagery here from the Mark Ruffalo version because, while I really enjoyed Edward Norton as Banner, Ruffalo is who everyone sees as Hulk now. Enjoy! NOTE: I’ve updated the Datafile to correct for his Specialties. Get the print-friendly datafile here. Why does Hulk know so much? In the movies, he wasn’t as intelligent. Only Banner brought the intellect. You’re right! I didn’t update the specialties. I’ll get hay fixed. Why would Hulk have Combat Expert? Nobody’s ever trained Hulk how to fight. Hulk SMASH! 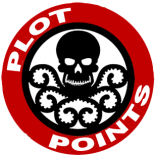 This entry was posted on February 4, 2019 by Mark in Cinematic Universe, Datafiles, Events, Marvel Cinematic Universe.